Welcome to Emergency Dentists USA, we are here to help make your dental emergency less stressful by providing you with a convenient listing of emergency dentists in the the Hayward, CA area. We strive to provide you with a comprehensive list of 24 hour dentists, emergency dental clinics with after hours dental care, and walk-in dental appointments. 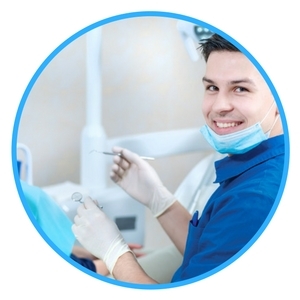 Hayward has many dentists to choose from to provide you with quality care in a timely manner. Do not let a dental emergency deter you from having the best time possible during your stay in this gorgeous city. Select one of the dentists listed below to fix you up and get you back to living and enjoying your day. Finding the right emergency dentist in the Hayward, California area does not have to cause you more pain than you are already experiencing. There are many options when it comes to emergency dental care in the Hayward area. The dental clinics allow you to receive emergency care even during hours you wouldn’t expect from a dentist. No matter what your dental emergency brings, there is an emergency dentist to help you with your needs. After hour dentists are also available in the Hayward area. Gentle Dental Hayward has office hours Monday through Saturday. They stay open later on Monday until 7 pm, Tuesday through Thursday until 6 pm, Friday until 5 pm, and open on Saturday by appointment. Highland Dental of Hayward has convenient office hours Tuesday through Saturday. Tuesday, Wednesday, and Thursday they are open until 7 pm should you have a need for a late-day appointment. Friday and Saturday they stay open until 3 pm. SmileCare Haywards office is open Monday through Friday. Monday the office is open until 7 pm for an after hours emergency. Tuesday, Wednesday, and Thursday they stay open until 6 pm and Friday they have hours until 5 pm. Emergency Dentists USA has a 24-hour emergency helpline to link you to a live operator who will help you to locate the best Hayward emergency dentist no matter what your dental emergency. Our listings are accurate and make it simple to find the right dental treatment during the time that you need it. There are a variety of caring emergency after hour dental clinics in the Hayward area to provide you with quality care during your dental emergency even later in the day than is typical. Get the treatment you require and move on to enjoy your stay in this lovely city. Description When traveling through the Hayward, there are many ways in which a dental emergency could quickly present itself. If you’re having a dental emergency it’s important to get help fast. Call our hotline and we’ll help you find a dentist near you fast! Gentle Dental Hayward has a goal to provide quality care to each patient that walks through their doors. They do this by being attentive to your needs, communicating openly, and providing you with education on your dental health. They have a caring dental staff with flexible payment options. Scheduling is easy as they have convenient office hours. At Highland Dental of Hayward you can expect a welcoming, comfortable experience. They have all up-to date equipment to best meet all your dental needs and the staff stays up-to-date with continuing education. They provide everything from all the basics such as cleanings, to more complex dental care such as implants and oral surgery. Whatever your dental needs, the staff is there to help you with your dental emergency. SmileCare Hayward is there to help you find your smile again after a dental emergency. They offer a wide range of services and accept more than 200 different dental insurance plans. They even have plans available to help save you money should you not have dental insurance. This company strives to provide you with excellent service. Preparing for your visit to your Hayward, CA emergency dental clinic is similar to preparing for your regular dental office visit. Have all of your information available before you arrive for your appointment. Gather your health records, paperwork, and insurance information. Try to arrive at least 15 minutes early to your appointment to give you time to fill out any necessary paperwork and to ask any questions you might have about your treatment. Confirm that the payment method that you plan to use is accepted by your Hayward emergency dentist whether that be cash, credit, or insurance. Please let the staff at your Hayward emergency dentist know if you have any type of allergies prior to your visit. Provide a list of any medications or supplements that you are currently taking. If you have dental anxiety, let the staff know prior to your visit. There are things that the staff can do to ease your anxiety and make your visit more comfortable. – Most emergency dental clinic visits are similar to regular office visits. Hayward, CA is the “The Heart of the Bay” and is an exceptional place to work, live, and enjoy. There are gorgeous shorelines and rolling hills. The city has much to offer and explore. Hayward started out as a small resort community and has evolved quickly into a vibrant city with rich cultures. The city is home to more than 150,000 residents who enjoy more than 3,000 acres of parks and open spaces for running and hiking. Hayward is home to the state’s oldest Japanese garden. As if all that isn’t enough, the city partnered with many to reduce blight and graffiti in Downtown Hayward with the city’s award-winning Mural Program. This great city has many wonderful emergency dentists available should you have an emergency during your stay. Our listings will get you where you need to be and back to enjoying your stay. When you are visiting Hayward, a dental emergency can be a scary experience. The last thing you want to worry about is dealing with searching through so many listings and worrying about the quality dentists available. Emergency Dentists USA has done all the work for you in helping to choose just the right Hayward emergency dentist for your dental emergency. Should you not be able to secure an appointment as soon as you require one there are hospitals available to help you deal with dental emergencies any time of day or night. The St. Rose Hospital and St. Francis Urgent Care Center are there to help you should you have an emergency and not be able to get into your Hayward emergency dentist. St. Francis Urgent Care Center is open every day with varying hours to help you and you can even reduce your wait time by reserving a spot online. The St. Rose Hospital is open 24 hours a day seven days a week. There are other hospitals located in surrounding areas. Call 911 should you have an emergency and not know where to go. They will get you there or direct you on what to do next. There are so many 24-hour dental emergencies that can make your stay in Hayward, California a painful experience. A chipped tooth, a painful toothache, or a damaged gum can easily be treated by one of the emergency dentists provided in Emergency Dentists USA comprehensive list we’ve compiled for you. There are many dental clinics available for you to choose from and help ease your pain. A common 24-hour emergency can hit you any time of day or night and when that pain strikes, it can make it hard for you to choose a dentist. The Emergency Dentists USA hotline links you to a Hayward emergency dentist who has just the right appointment to relieve your dental crisis and get you back to enjoying your stay. An Abscess is a serious dental health emergency that requires treatment as soon as possible. It is an infection that happens around the root of a tooth or in the space that is between the gums and teeth. 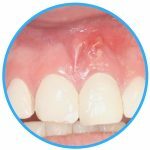 The abscess typically is a pimple-like swelling on your gum. If it is left untreated it can cause damage to the surrounding teeth and the gum tissue. If left untreated long enough it can spread infection to other parts of the body. Until you can get into your Hayward emergency dentist you can ease the pain and draw the abscess out by rinsing your mouth with a mild salt water solution made of 1/2 teaspoon of salt in 8 ounces of water several times each day. A toothache doesn’t sound like a horrible crisis until you are experiencing one that stops you from thinking clearly due to the pain. The first thing you should do during a toothache is to rinse your mouth with warm water to dislodge any food. Use a piece of dental floss to try to remove any objects that might be lodged between your teeth. Do not apply aspirin or painkillers to the gums near the toothache as this can cause serious burns to the gum tissue leading to further issues. Apply a cold compress to the outside of your mouth to help ease pain and reduce swelling. Contact your Hayward emergency dentist as soon as possible. An object caught between your teeth can be a painful and trying experience. When this happens, you should begin by using dental floss to try to carefully remove the object. Do not use sharp objects to try to remove the lodged item as this can cause damage to your tooth surfaces or damage to the gums. If you can not remove the object, call your Hayward emergency dentist to seek treatment. Tooth trauma caused by an accident is an extremely scary experience. Should you suffer tooth trauma due to a car accident, fall, or sports injury, it is important to not only see your emergency dentist but also visit your closest emergency room first. An injury due to a trauma could have other issues that require treatment that your emergency dentist doesn’t treat, concussion or otherwise. The hospital emergency physician can do an exam and determine if you require further x-rays and treatment and they will then refer you to seek treatment vyour Hayward emergency dentist. If you don’t know where the nearest ER is you should call 911. There are a number of different reasons you might need to have an emergency tooth extraction. You might have a tooth badly damaged by an accident or infection. 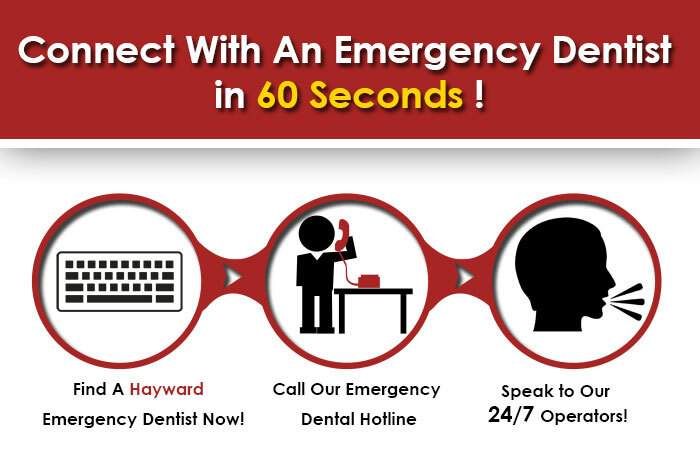 No matter the reason for the extraction, your Hayward emergency dentist is there to help you. The dentist starts by examining your teeth and takes an x-ray of the affected tooth before deciding on the emergency tooth extraction. Once a course of action is determined they numb the area using a local anesthetic. Once the area is completely numb, the tooth is then removed. A piece of gauze is then placed over the extraction site to control the bleeding. The gauze needs to be left in place for at least 30 minutes to allow a blood clot to form, which aids in healing. You should avoid smoking, alcohol, drinking from a straw, and strenuous exercise for the next 24 hours to allow the best healing possible. Avoid solid foods for the first day. Take any medication as prescribed. If you have pain that grows instead of lessening, excessive bleeding, fever, or vomiting, contact your Hayward emergency dentist to seek treatment as soon as possible. An emergency room is not designed to treat dental emergencies. They can not fix crowns, broken braces, or provide fillings. What they can do is provide you with treatment should your dental emergency involve trauma to the face or other body parts. They can take x-rays and provide you with medication to ease pain and help with infection until you are able to get into see your Hayward emergency dentist. They are there should you have an emergency and not be able to get into the emergency dentist as soon as you need to. Once the emergency room physician has treated you to the best of their abilities, they will refer you onto a Hayward emergency dentist for any further treatment you might still require. There are many instances when a cavity needs a filling but doesn’t necessarily hurt. It may be that the damage isn’t extensive enough as of yet to be hurting the nerve or it may be so bad that the nerve is already damaged. A root canal is a treatment designed to save a tooth that has extensive damage and infection in the root area of the tooth. After a root canal the tooth is finished with a cap to protect it. There is some concern due to the makeup of the silver fillings, but the FDA has determined that the fillings are safe. If you have concern, there are alternatives available. There is very little radiation from a dental x-ray when in comparison to other medical procedures. Dental x-rays is about 0.005 mSv about the same as you’d get from a short airplane flight. 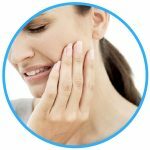 What should I do if I have a dental emergency and can’t get ahold of a dentist? Should you have a dental emergency and not be able to get ahold of a Hayward emergency dentist you should either call 911 or go to the nearest emergency room to seek treatment. There is so much to see and do in the gorgeous city of Hayward California, from the many lovely parks to the Japanese gardens you will be busy enjoying life. Do not let a dental emergency stop you. Finding the right emergency dentist in the Hayward, California area does not have to stress you out. There are many options when it comes to emergency dental care. No matter what your dental emergency might be, there is an emergency dentist there in Hayward to help you with your needs even later in the day. After hour dentists are available to help you during your dental emergency in the Hayward area. Gentle Dental Hayward has appointments available Monday through Saturday. They stay open later in the day on Monday until 7 pm, Tuesday through Thursday until 6 pm, Friday until 5 pm, and open on Saturday by appointment only. Highland Dental of Hayward has convenient hours Tuesday through Saturday. On Tuesday, Wednesday, and Thursday they are open until 7 pm should for a late day appointment. Friday and Saturday they are open until 3 pm. SmileCare Haywards office is available Monday through Friday. Monday the office is open until 7 pm for any after hours emergency. Tuesday, Wednesday, and Thursday they stay open until 6 pm and Friday they have hours until 5 pm. Emergency Dentists USA has done the work for you in helping to choose the right Hayward emergency dentist for your dental emergency. Should you not be able to secure an appointment as soon as you require one, there are hospitals available to help you deal with dental emergencies any time of day or night. The St. Rose Hospital and St. Francis Urgent Care Center are there to help you should you have an emergency and not be able to get into your Hayward emergency dentist. If you are not able to find the hospital, a call to 911 is in order. Remember that when you choose a new Hayward emergency dentist, it is important to verify the dentist’s credentials with local, state, and city dental associations. The American Dental Association offers search options for this process on their website. 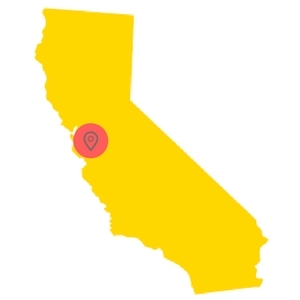 You can also find information about California dentists and their credentials on the California Dental Association website.